Economic Corridor is not only creating positive vibes throughout the country with more infrastructure development and job opportunities, it is also helping various ethnic nationalist parties to get into the national mainstream. panelist and experts analyzed the impact of over $50 billion China-funded project that envisages scores of infrastructure projects, including roads, bridges, rail lines, power stations, and the deep-see Gwadar Port, the USIP website said its report on the event. Last month, a convoy of truck carrying goods was unloaded and loaded onto ships for their onward journey to international destination, marking the official opening of the Gwadar Port, which has been built with the Chinese assistance. history, will change Pakistan in many ways, including the easing of its internal conflicts that mostly involved smaller regional ethnic nationalist groups, the experts said. development, which includes upgraded highways, rail lines and new power plants, is creating new positive confidence in the country’s security and foreign policy establishment. 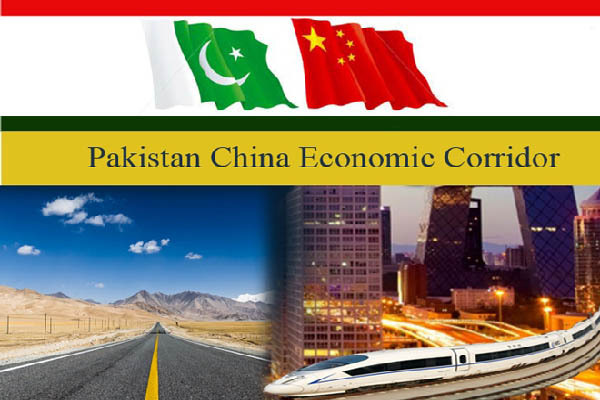 While there had been a few conflicts over local opportunities created by CPEC projects, overall, the corridor has helped to reduce tensions among fractious regions and political parties. The project has further strengthened already strong ties with the country’s all-weather friend China, and has fostered a broader internationalist outlook. and benefitting from the influx of Chinese capital that can boost job opportunities, increase electricity production and improve livelihood, said Arif Rafiq, a fellow at the Center for Global Policy and president of Vizier Consulting. research fellow with the National Strategy Institute at China’s Tsinghua University, putting the need to deploy excess capacity as the most immediate need. The added capacity had been built up with China by stimulus spending during the financial crisis of 2008, he added. Most of the financing on construction has been provided at very low rates by Chinese state banks, provided to the Chinese companies. These companies are using some Pakistani subcontractors and are buying steel, concrete and other construction material locally, thereby giving boost to construction industry and auxiliary sectors. China’s central government also hopes that the CPEC will revitalize the economy of the Xinjiang province and will contribute to addressing concerns of the Uighur population. Xinjiang is the starting point of the project. Experts, however, believe that the project is unlikely to reduce China’s and Pakistan’s tensions with India in terms of regional trade. India is proposing its own transportation corridors to link with the Central Asia, Europe and East Asia. Zhao said that theoretically the Indian and Chinese projects could be linked, but mutual distrust prevents such cooperation.